Inno Molding is an innovative injection molding company established in 1996 in Shenzhen China, we offer plastic injection mold making, injection molding, and full products turkey manufacturing services. 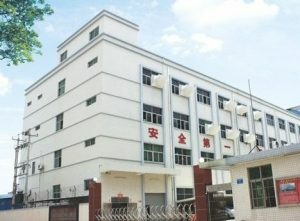 Our factory was certificated with ISO 9001-2008 quality system, covers about a 3,500 square meters of mold making shop, grouped with a 120-employee of high-skilled mold makers, mold designers, quality team, and project managers. Up to now, our monthly capacity is up to 60 sets of moulds as our continuous increasing business from our worldwid clients, they are mainly from US,Candana, Australia, Germany, Russa, and other European countries. Our factory is well-equipped with most advanced mold making machines, injection machines, and quality inspection equipmentsthat were imported from German, Switzerland, and US, which enable us to work more efficiently and able to offer customers high precision products. At present, our mold shop is equipped with 5 sets of CNC, 10 sets of EDM, 18 sets of milling machine, 5 sets of slow-feeding linear cutting machine, 6 sets of grinding machines, 3 sets of Lathes, 8 sets of wire cutting machines, and 25 sets of injection machines. We use Pro/e, UG, Master CAM, Auto CAD, and Moldflow for mold design and product design. Before each project being kicked-off, we take DFM anylysis and FMEA risk evaluation by moldflow software, it scientifically prevented lots of product developing risk to come up. If a turnkey manufacturing demands received, we will create 3D model, 2D detail drawing, and prototype to validate the mold structure and product structure. In these ways, we’ll bring clients accurate products they really needed while they can focus on your marketing development. As a pioneer injection molding manufacturer, we are committed to providing customers with high quality, economical cost, professional and efficient services.Our aim is to become biggest one stop manufacturer of plastic mold making, injection molding, and turnkey contract manufacturing in China. Once you have any project to run, please do not hesitate to contact us for a free project evaluation, and you are welcome to come and see our manufacturing facility in Shenzhen China. Please contact us to schedule a visit for you and your team. We look forward to working together. © 2019 Inno Molding All rights reserved.